A luxurious teddy baby gift set with baby towel and bath mitt and the option of adding a bib and personalisation on the towel. All items in the gift set are made in 100% superior quality cotton terry towelling. 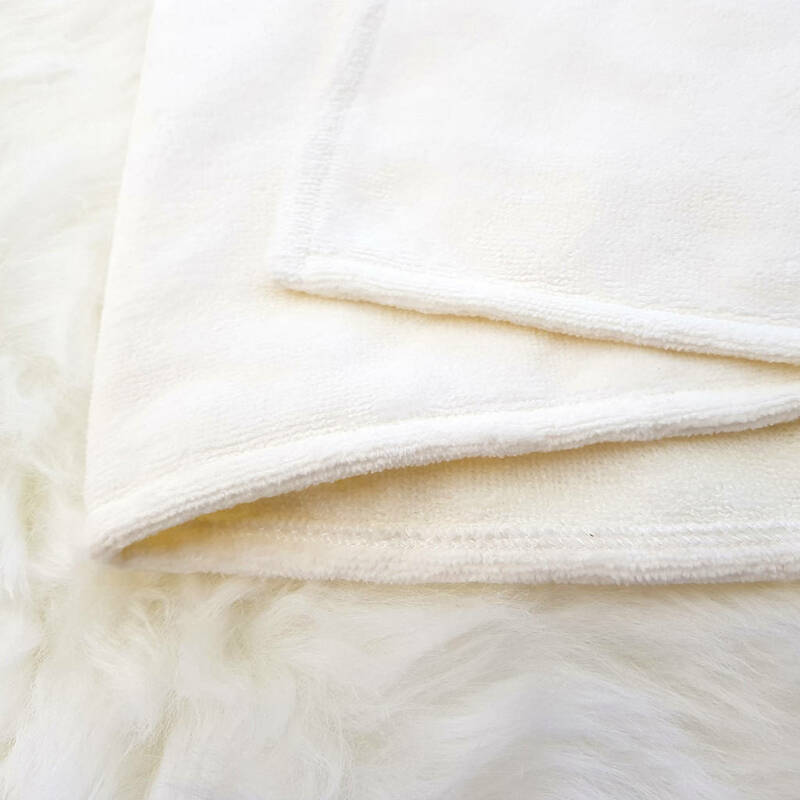 The outer velour side gives the baby towel, bib and bath mitt a luxurious, silky soft feel. Coupled with the cute teddy design, this gift set is a beautiful, unique and practical present. You can be assured that all the items in the set will be put to good use and bring a smile to everyone! The baby towel features a cute teddy face on the hood, babies will love the little ears on the side! The towel is beautifully wrapped with a cream ribbon and can stand on its own like a little soft toy. 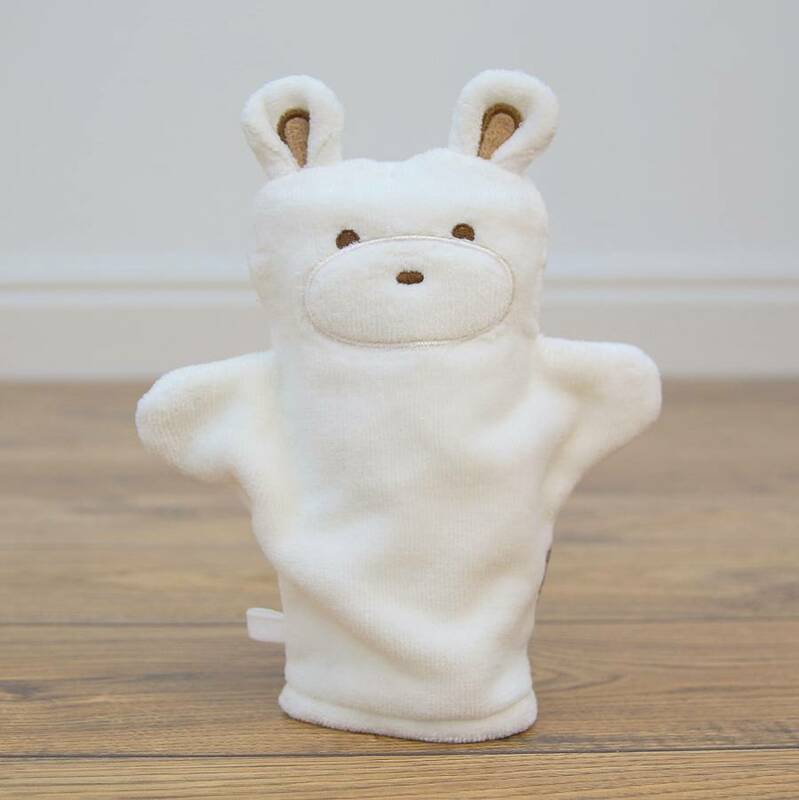 The bath mitt shaped like a teddy and can fit an adult's hand. It will make bath time more fun and stimulate imagination! 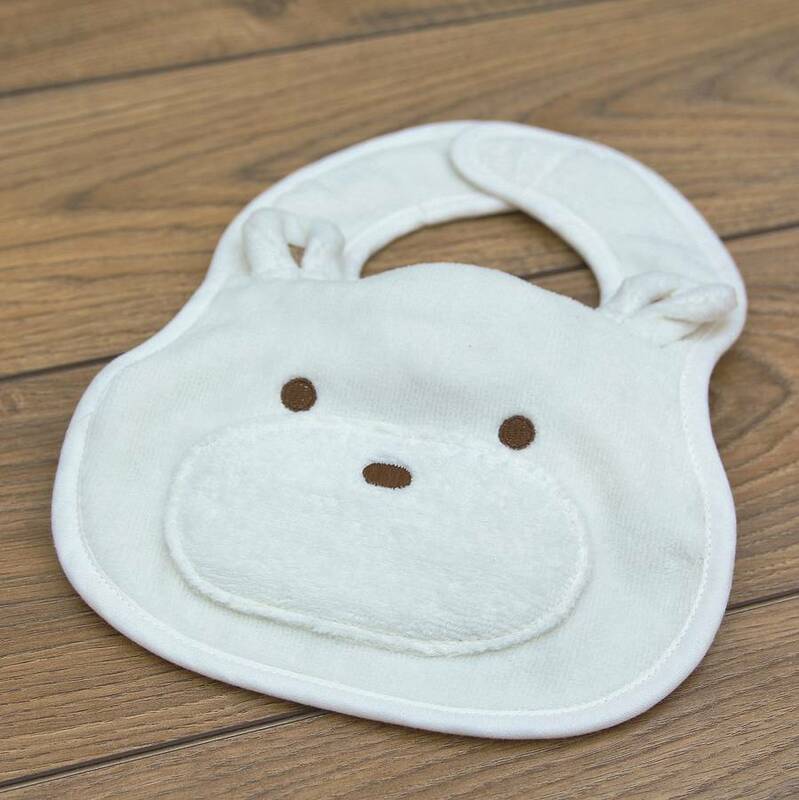 The bib is in size 20 x 30 cm which provides maximum coverage for your little one. The gift set is made in cream white towelling fabric. This superior 490 gram weight fabric gives the baby towel and bib high water absorbency, keeping babies nice and dry and the quality will last wash after wash. 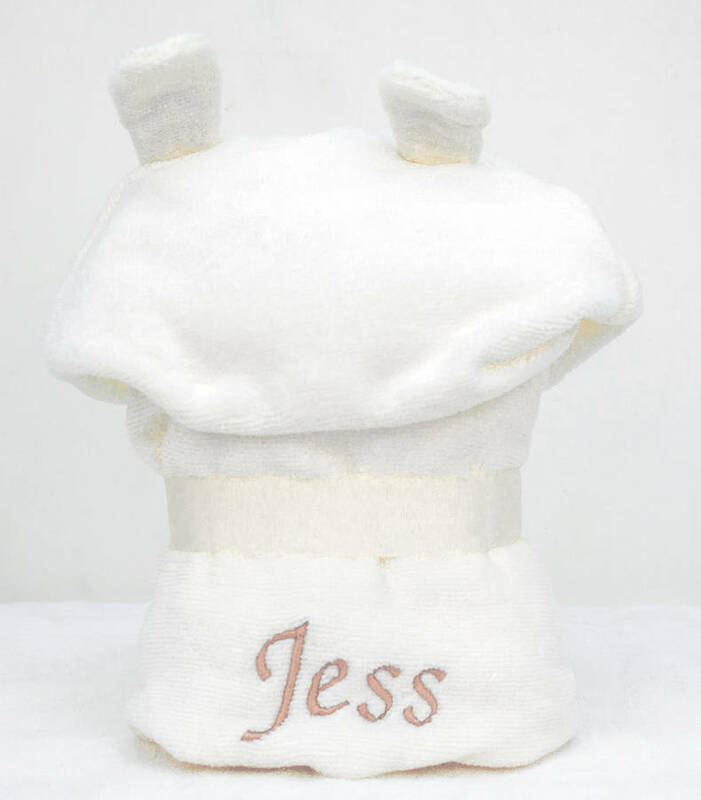 If personalisation is chosen, name of the special little one will be beautifully embroidered at the back of the baby towel. 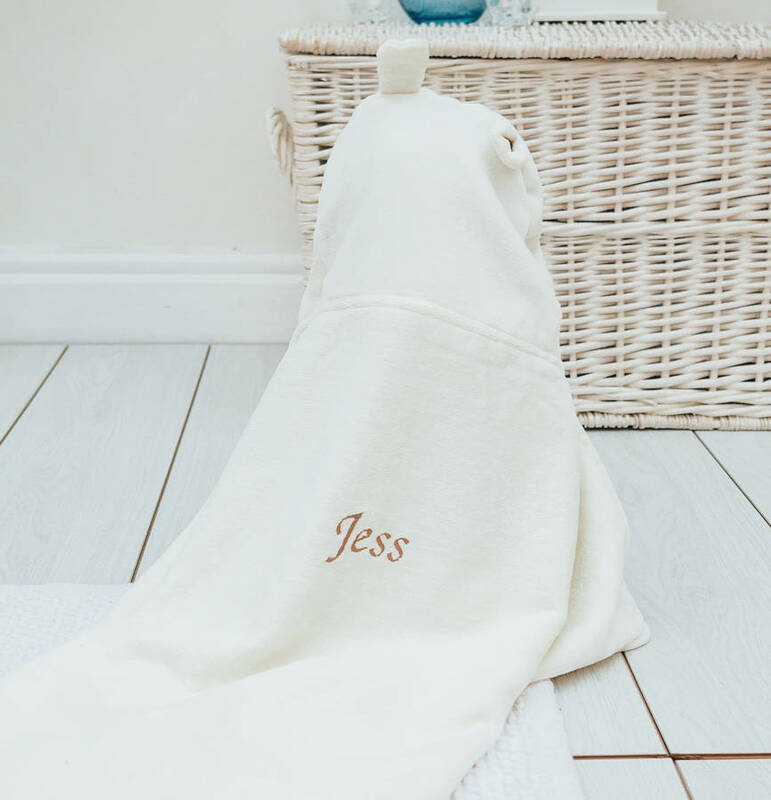 Not only will the cute design catch your eye when you receive the gift set, the personalised name on the towel can be seen nicely even before you unwrap the towel! 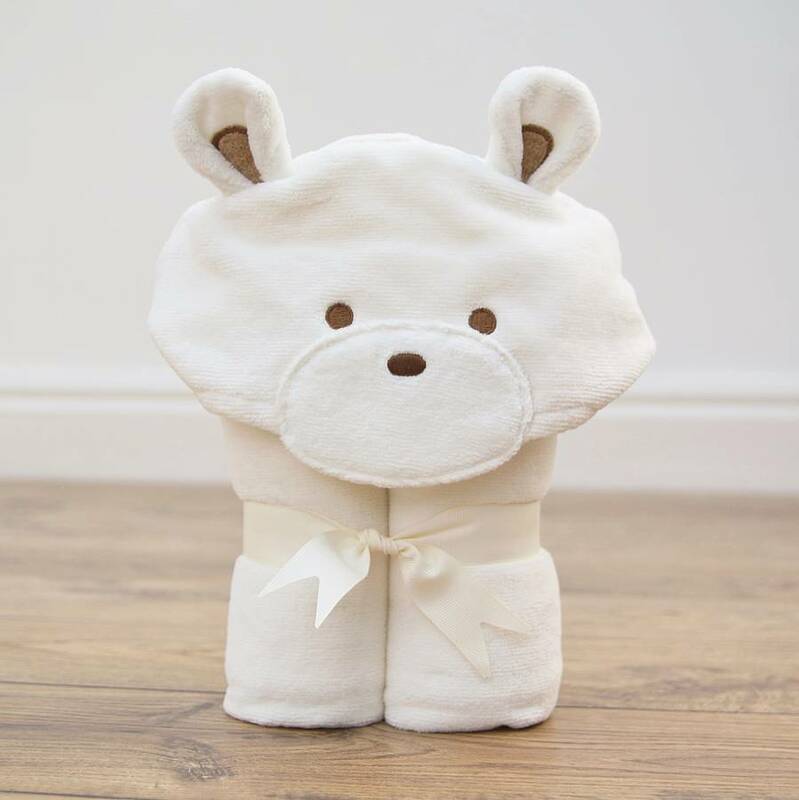 If gift wrap option is selected, we will present this teddy baby towel gift set in our own designed gift box to make an extra special baby gift. A silver gift card will be used if you want to have your gift message written. Baby towel, bath mitt, bib: 100% cotton terry towelling. Machine washable. Baby towel: towel 78 x 58 cm, hood 36 x 18 cm. Bath mitt: 21 x 21 cm, fits an adult's hand. This product is dispatched to you by Bathing Bunnies.